So KFC, the fantastic place that serves greasy chicken that is so bad but oh so good, have released their first ever festive burger. They’re obviously not the first to do this, McDonalds and Burger King have had festive burgers in the past, and coffee shops and cafes have been bringing out Christmas sandwiches and drinks for ages. Nando’s have also announced a Christmas menu for the first time. Now when you think of a festive burger, what do you suppose would be in it? Stuffing? Maybe some sausage and bacon to represent ‘pigs in blankets’? Maybe a little cranberry sauce? But without doubt, you would expect the meat to be Turkey, right? The ‘Colonels Christmas burger’ has no turkey in it. As this may be understandable because KFC is a chicken shop, but still, they have to have turkey! 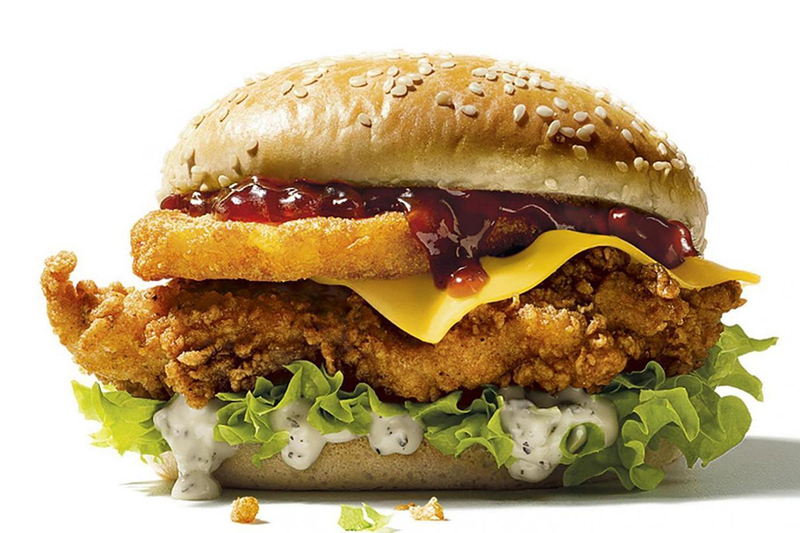 The burger will have fried chicken breast, hash brown, cheese, lettuce, cranberry sauce and sage and onion stuffing-flavoured mayonnaise. Although it does look, and sound like it would taste amazing, it is VERY loosely linked to Christmas. Probably still go and get it though, right? It is being rolled out to the public on 28th November. We are unsure how much it will cost at this time.